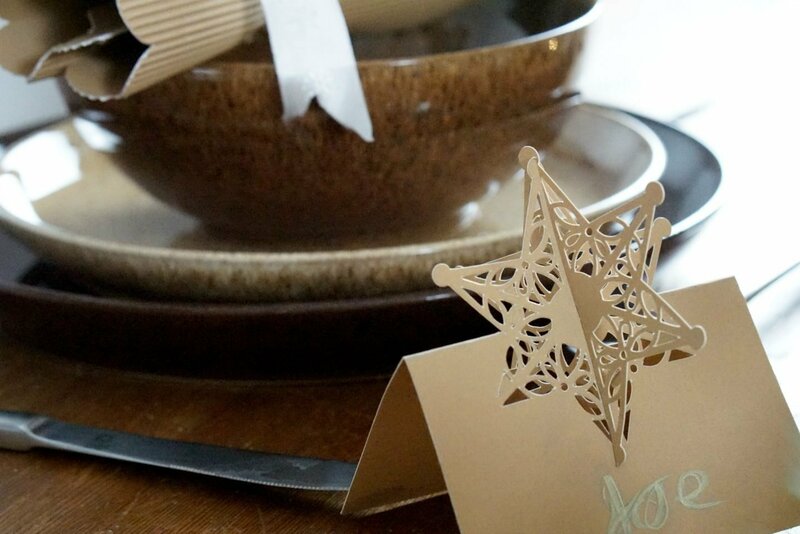 For the last week or two I have been totally engrossed in all things festive and decorating. It’s that time of year isn’t it? Tree’s, shows’ and Christmas get together’s. 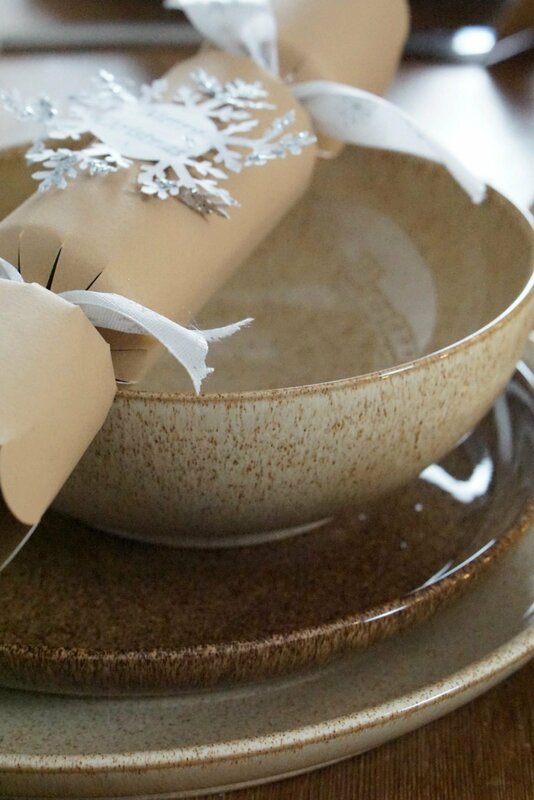 If you are going for a natural Christmas table theme it is great idea to make homemade accessories. This is also very satisfying as a host. And if you are making homemade Christmas crackers, how can you not put gin and chocolates in them? 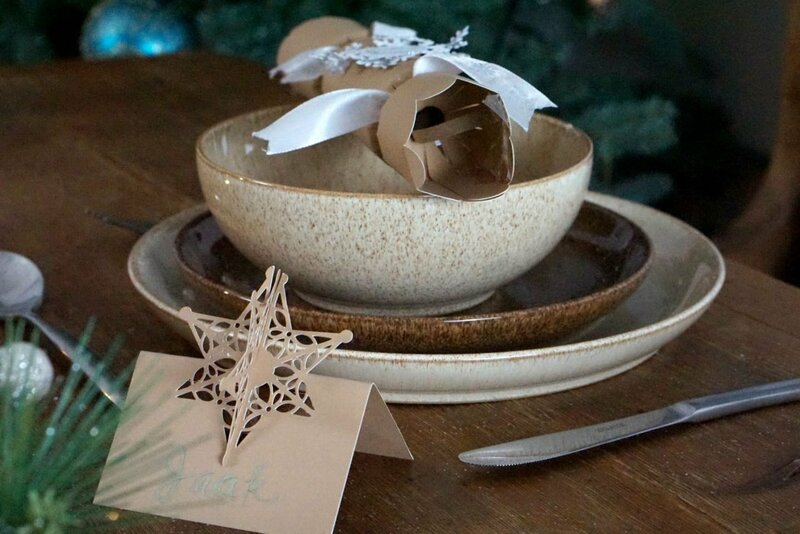 If all things rustic inspire you, here are my tops tips to create a beautifully simple Christmas table setting. All wonderful, festive and so much fun, but it occurred to me yesterday I hadn’t actually thought of Christmas Day. Of Food, presents’ or menus! Christmas is a couple of weeks away and up until yesterday we had no idea what we were eating on Christmas Day. I could also see Chris was getting a pick panicky at our lack of preparations. So last night finally we sat down and got our order in with Booths. After a bit of a family conference, Joe requesting caviar on toast for his starter (I kid you not!) and Jack who is unable to commit to what he might want to eat in two weeks, we finally agreed on a menu and a very small pot of caviar! Where on earth has he got that from? I am sure my inspiration to order food came from the day I had spent preparing he festive table. I wanted a rustic style table this year and decided to put my ideas into practice to ensure the look I had in mind worked. I have talked before of how I love Denby and the Studio Craft set matches perfectly with the Pastel Heritage set I already have. There is a lot to be said about clean lines and natural colours. And it matches beautifully with my rustic dining table. 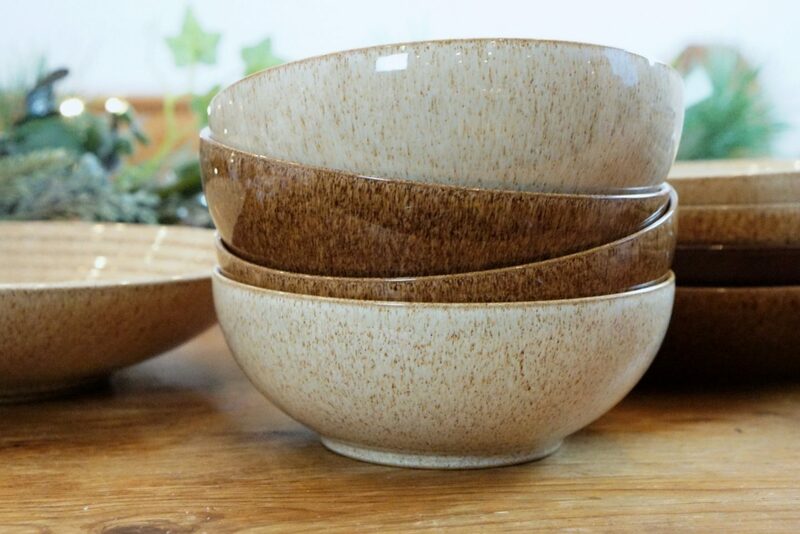 The gloss and texture of the glaze works so well, creating a rustic but contemporary look that does not stray far from Denby’s heritage, yet looks so fresh. Although the elm ridged serving bowl causes quite a bit of conflict in the Christie house as both the boys have claimed it for their own. They often quarrel over who is using the bowl for a snack. Just for info, a teenage snack can be huge, so a large serving bowl is needed! It takes me back to the toddler days and always having to use a green plastic bowl. However as teens, said green bowl has been substituted for Denby! A bit of friendly advice, get two bowls if you have two teens! 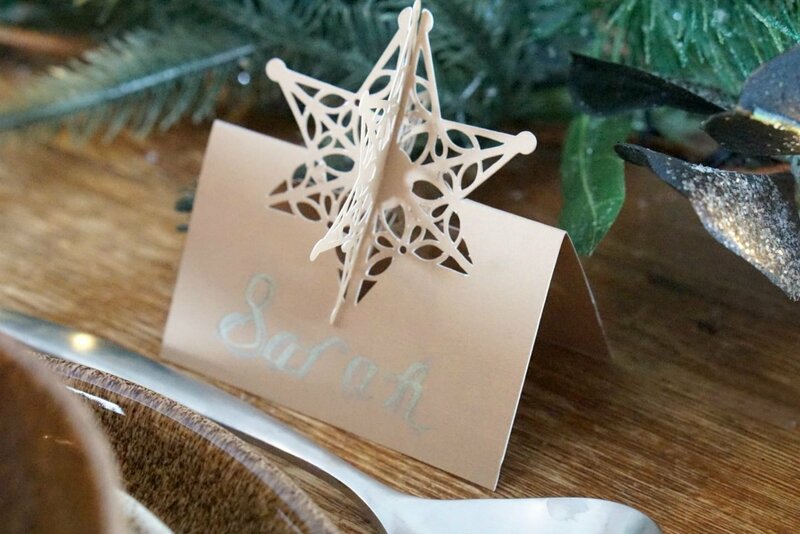 I decided home made crackers and place cards were the way forward. And set too with my Cricut editing the pre set patterns to create the look I wanted to achieve. 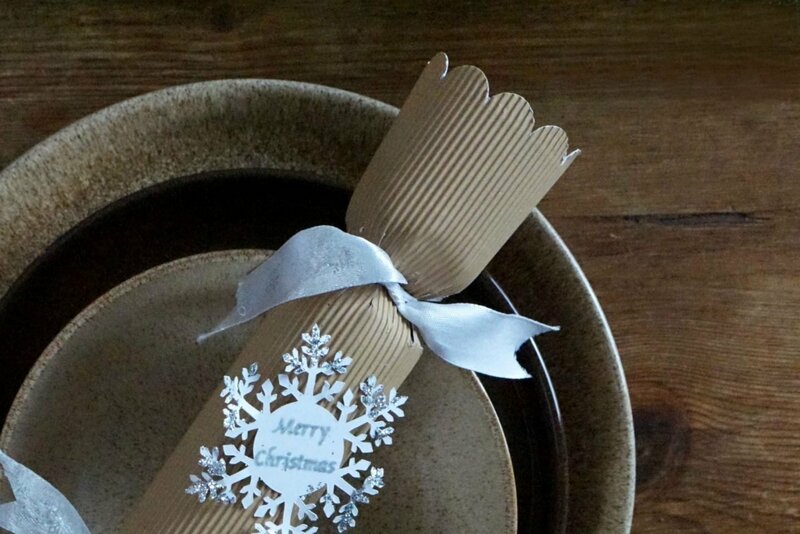 Whilst also keeping to a natural theme with canvas coloured corrugated and natural card to create a rustic simple look. I finished the crackers with a sparkly star and ribbon for a little understated festive sparkle. Because lets face it, the first thing you do on Boxing Day is throw away all the contents of Christmas Crackers, or is that just me? 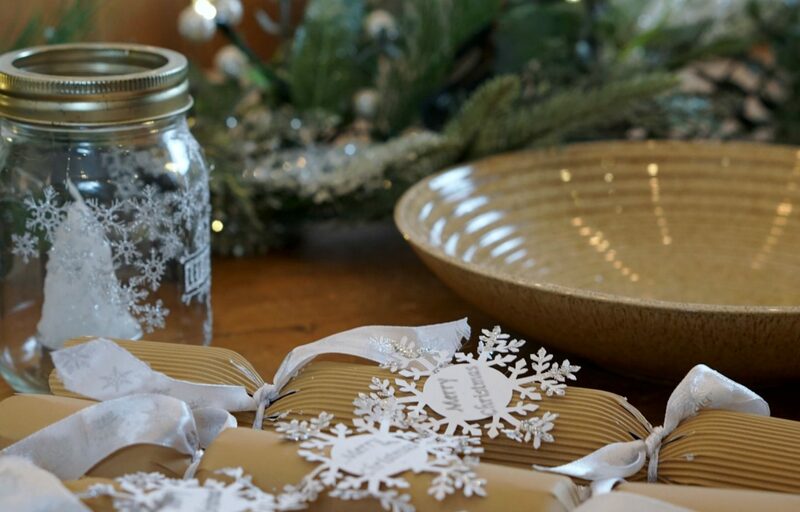 Home made means you are able to personalise your crackers for your guests and ensure the gifts are meaningful. Keep fuss and bling to the minimum, understated is key for a rustic look. Start by adding a simple lit garland to the centre of the table, this can be removed when you are ready for serving but is a great centrepiece. 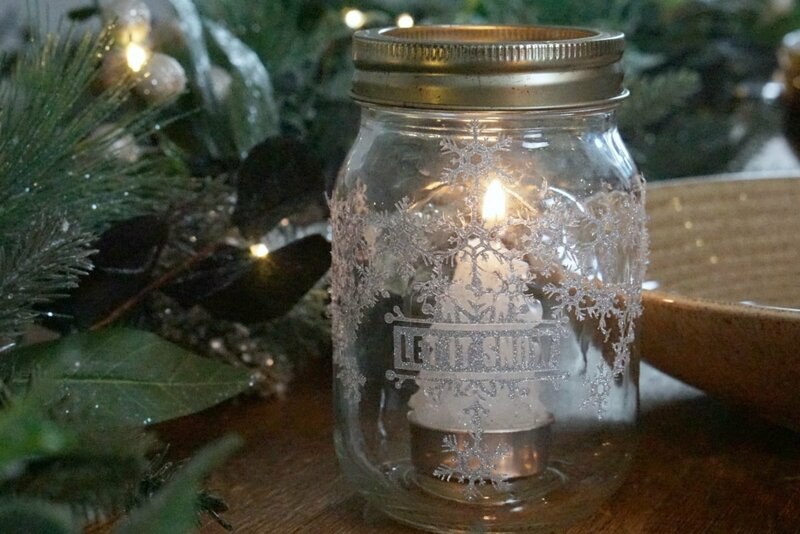 Add mason jars with candles or tea lights. I decorated mine with snowflakes for a festive look. 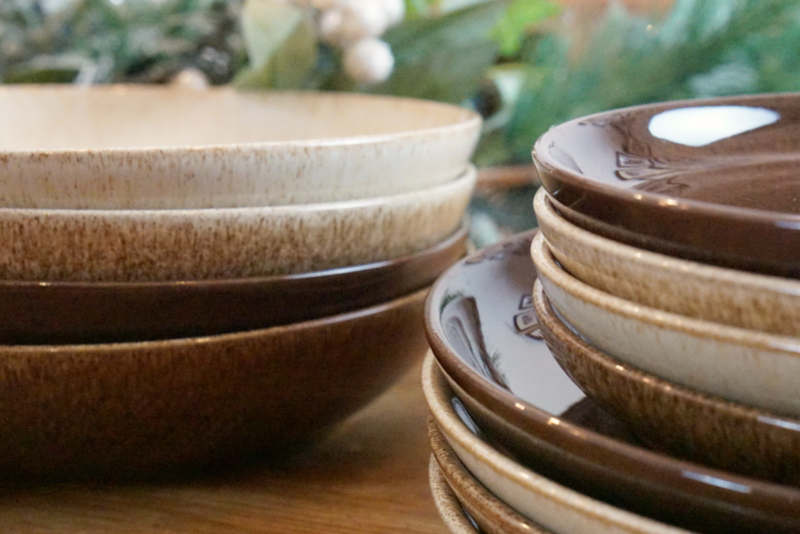 Go for simple tableware in muted colours and mix up the shades for a layered effect. 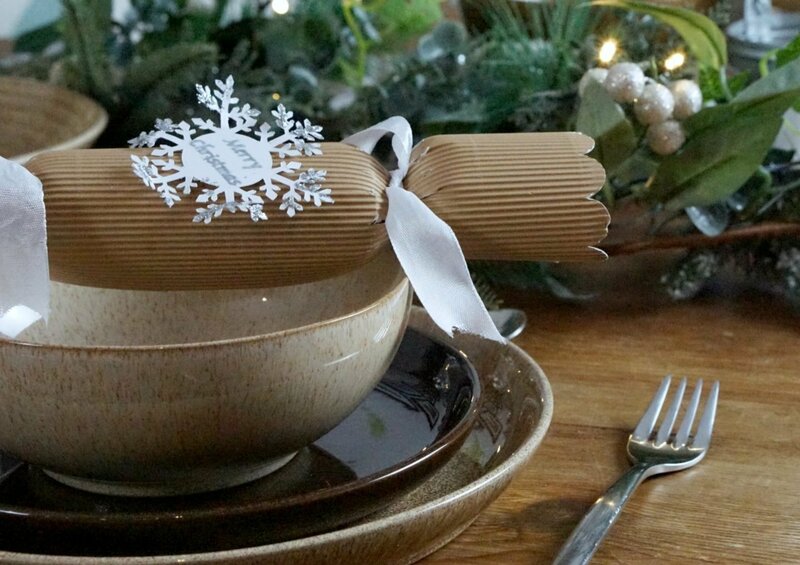 Make your own Christmas crackers and personalise them for your guests. Make your own place cards, these can be beautiful cut outs or check out the vlog below for a great baby photo place card idea. And remember less is always more. This is gorgeous. 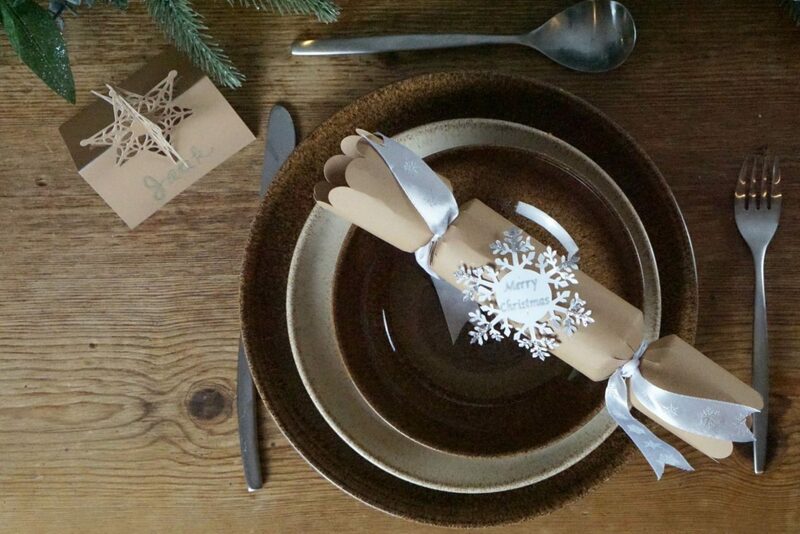 I wish I was one of those people who had a Christmas dinner set. This is beautiful and would be used year round. And gin crackers? Oh yeah! 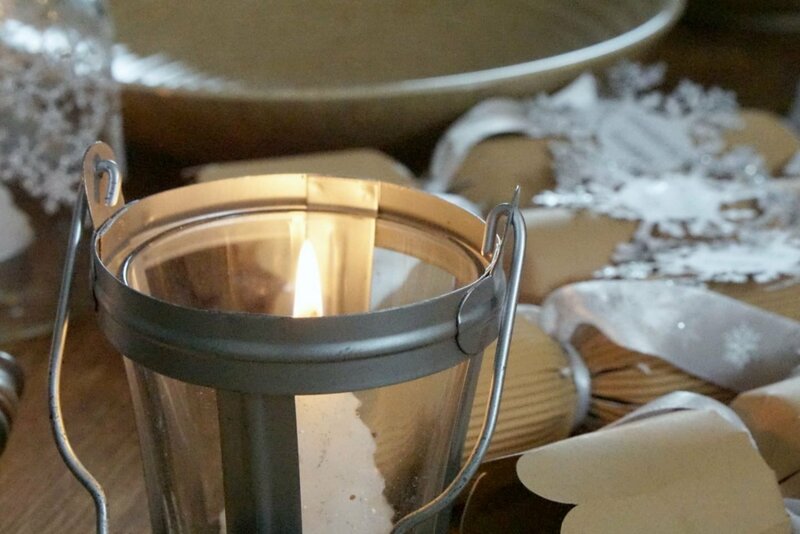 This set is gorgeous, love the rustic style, it really goes really nice with the crackers. It’s such a nice idea to make your own ones, it makes it more special, doesn’t it?